Shooting for sophisticated guests who prefer glossy glass and muted greys over creaky wood and bright colours, S15 is a fairly large midrange hotel within an easy walk of either Nana or Asok BTS stations. Ad Book now! Rates from US$85++. Average rating 8.2 from 5,672 reviews. An entrance right on Sukhumvit Road leads you into a sharp lobby with high ceilings, post-modern sculptures, leather sofas and a subtle scent of jasmine. Accessed by a lift, the cheapest “deluxe” rooms are spacious and equipped with high-quality linens on soft beds, long desks, wall-mounted LCD TVs, modern bathrooms, all expected mod-cons and wall-size windows. Framed black-and-white Thai temple photos will remind that you have not been transported to Paris or New York. Though it sounds dreary, we could appreciate the exclusively brown/grey/black/white colour scheme after the constant barrage of bright colours down on Bangkok’s streets. Depending on which you go for, S15’s higher-end rooms bag you more space, better views, four-poster beds, Jacuzzi tubs and sofas. There’s no swimming pool, but you can work out in the fitness room, get a massage in the spa, indulge on the buffet breakfast in the Mezzanine Cafe, or shoot some billiards in the bar. 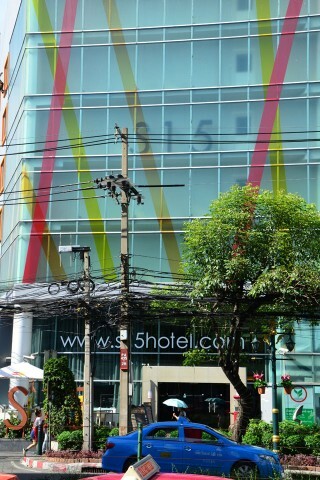 The sister property, S31 Hotel, is a couple of stops further up the skytrain line and is very similar. We were told that rates fluctuate often: take what’s listed here with a grain of salt and look around online for the best deals. Up to 3,800 for business suite. Room: Deluxe double room, low season: 2,800 baht, high season 2,800 baht. Notes: Up to 3,800 for business suite.